MCC's first compact with Burkina Faso put family farmers on the path from local growers to regional exporters and fulfilled the promise of growth and prosperity through improved roads, better agriculture and land rights. Burkina Faso, a landlocked country bordering the Sahara Desert, was one of the poorest countries in the world, with a gross national income per person of $670, when the compact with MCC was signed. Eighty percent of Burkina’s poor live in rural areas. These areas of the country are susceptible to external shocks including low rainfall, flooding, and desertification. Burkina Faso faced several severe constraints to economic growth including: high production costs, especially in water and agriculture; lack of secure property ownership or land-use rights; high costs in transporting goods to market; and limited human capacity due to low levels of education. address primary school completion rates for girls. The estimated direct benefits from the compact investments are projected to be lower than anticipated over the 20 year period for which MCC completes an analysis. This was due in part to difficulty in gathering reliable initial data concerning agricultural increases in zones connected by the roads investments. 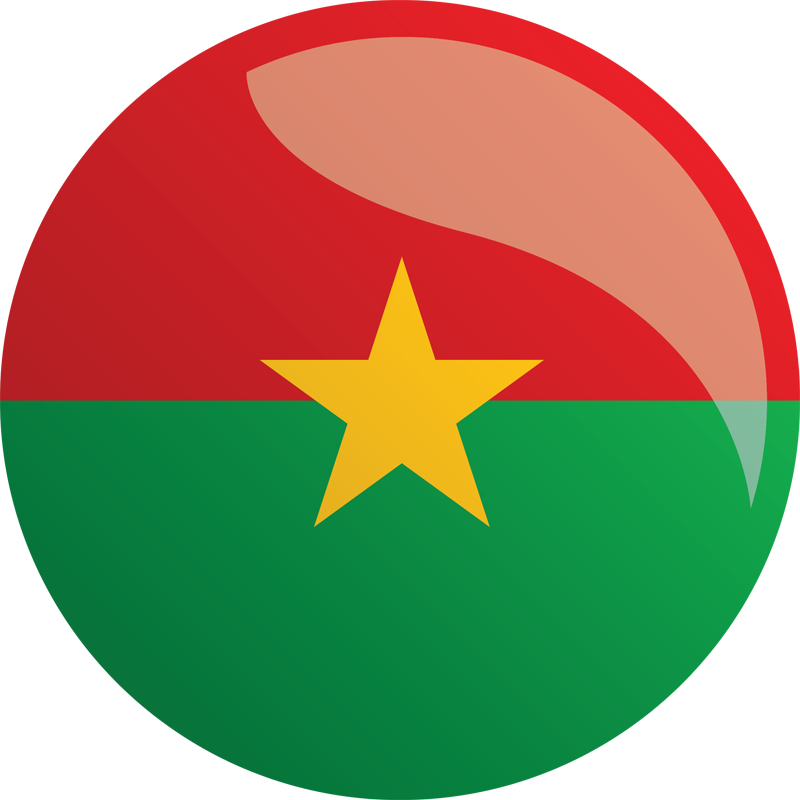 The Government of Burkina Faso and MCC expect more than 1.1 million people to benefit from the investments. Additional details of the compact results and impacts will be shared in forthcoming impact and performance evaluations. Estimated benefits at the time of investment correspond to $303.8 million of compact funds, where cost-benefit analysis was conducted. Estimated benefits corresponds to $97.4 million of project funds, where cost-benefit analysis was conducted. The Agricultural Development Project was designed to expand the productive use of land in order to: increase the volume and value of agricultural production in project zones; increase rural incomes and employment; and enhance the competitiveness of the rural economies in the Sourou Valley and the Comoé Basin by addressing core agricultural constraints typical of rural Burkina Faso. 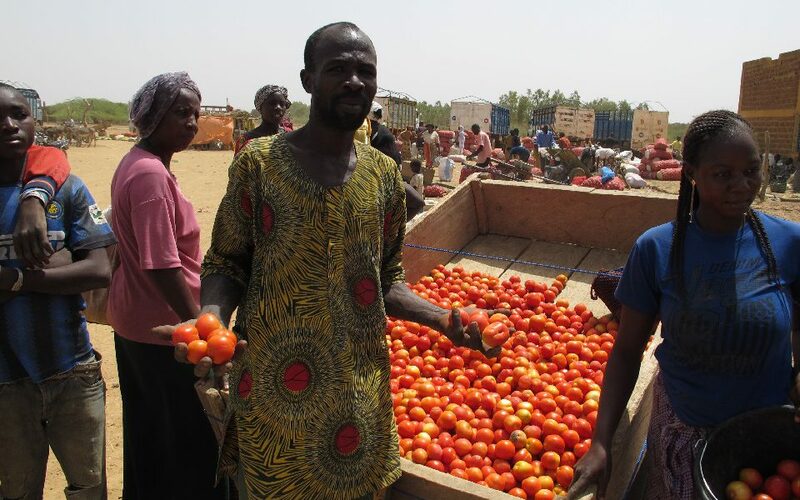 According to the World Food Programme, approximately 13 million of Burkina Faso’s 16.5 million people are food insecure, with limited or uncertain availability of an adequate and safe supply of food. Nearly one-third of the nation’s children are stunted, the condition of being seriously below normal height, due to a lack of proper nutrition. Irrigated cropland accounts for only 0.5 percent of the country’s total land area, and rain-fed agriculture often does not cover a family’s nutritional or income needs. Constraints to agriculture include poor availability and management of water resources, underperforming agricultural practices, and insufficient access to information, markets and credit. The project constructed 2,240 hectares of irrigated farmland in the Dî perimeter and rehabilitated the Léry dam infrastructure, protecting investments in the Sourou Valley from catastrophic flooding. The project trained 7,830 farming households in improved production and farm management techniques, established 16 water user associations and trained 207 association executive officers. The project provided $2.8 million in medium-term loans to 96 small and medium-sized enterprises via the Access to Rural Finance Activity by the end of the compact. MCC is conducting an evaluation of the interventions in the Agriculture Development Project. This evaluation will look in detail at each of the different components in the two activities, using a variety of data collection methods. It will also seek to measure if the Agriculture Development Project program logic was sound and realistic, and whether implementation followed the intended project design. An impact evaluation of the lottery and performance evaluation of support to project-affected persons will assess if the amount of land under production or the intensity of production in the irrigated perimeter increased for participating farmers with respect to non-participating farmers; if the project affected the amount or components of household income; and if perceptions of land tenure security have changed. An impact evaluation of farming training will also seek to determine if agricultural production or household income has increased or changed as a result of project intervention. A performance evaluation of the water management components will measure whether the project intervention has had an impact on water conflicts, irrigation systems, or operations and maintenance responsibilities. MCC is also conducting a performance evaluation of the rehabilitation of district markets and market information systems sub-activities to measure how transaction and marketing costs for farmers have changed as a result of the market information systems and new or rehabilitated markets. Results of this large evaluation are expected in 2018. Finally, a performance evaluation of the Access to Rural Finance Activity will assess whether beneficiaries were able to access credit made available by the activity, whether newly available credit was used to make investments in agricultural production and which characteristics of borrowers and other factors strongly influenced decisions to use credit. It is expected to be available in October 2015. The Burkina Faso Compact was approved with no cost-benefit analysis for the BRIGHT 2 Schools project. Due to insufficient information for calculating a dollar figure for benefits, no closeout cost-benefit analysis is planned for this project. The BRIGHT program was designed to alleviate three major constraints to girls’ education: inadequate number of schools, school environments without proper facilities for girls and inadequate planning capacity within the Ministry of National Education and Literacy. The project, built on MCC’s 2005 threshold program, aimed to maintain girls’ participation in primary school by increasing access to girl-friendly school environments. The three-year project, run by the United States Agency for International Development (USAID), was completed in February 2013. MCC invested in the construction or rehabilitation of 396 additional classrooms, 122 kindergarten buildings, 264 private latrines, and 17 water pumps. MCC funded more than 185,000 sacks of rice for take-home rations, and provided daily meals for over 15,000 students between 2009 and 2012. Literacy and microfinance trainings were organized for women and mothers in all 132 of the project communities. MCC is conducting an impact evaluation of the BRIGHT 2 School Project. This evaluation will seek to assess what the impact of the program was on school enrollment, attendance, retention and test scores. It will also look at whether the impact varied by gender and age group. An interim report is expected to be released in July 2015, and the final will be available in June 2016. Estimated benefits corresponds to $148 million of project funds, where cost-benefit analysis was conducted. Poor roads conditions have negative and overlapping consequences for residents of Burkina Faso, increasing travel time, making transit more dangerous, limiting producers’ access to markets and citizens’ access to social services. providing a one-for-one fund matching mechanism with the Government of Burkina Faso to reduce the country’s road maintenance backlog. MCC funded the paving, upgrade or periodic maintenance of 525 kilometers of roads by the end of the compact. An additional 215 kilometers were completed two months later with assistance and oversight from the Government of Burkina Faso. MCC also invested in the development of a new road maintenance planning tool to facilitate future planning and continued management of the country’s 16,400-kilometer network, including new primary roads constructed with MCC funds. MCC is conducting a performance evaluation of the Roads Project. The evaluation will use the Highway Development and Management (HDM-4) Model to assess the condition of the upgraded roads. The evaluation is expected to be available in 2018, three years following the completion of the works. This will enable independent evaluators to measure both the impact of improved roads on traffic and evaluate the sustainability of compact investments with regard to roads maintenance. The indicators for kilometers of roads completed is based on provisional acceptance of the entire road section (which includes completion of all accompanying signage, drainage, etc.). At the end of Q20, some accompanying works remained to be completed. However, these remaining works were completed and accepted as follows: 80.3 km of primary roads on 8 Sept 2014 and 61.2km of rural roads on 21 Sept 2014: 100% of the target. Estimated benefits corresponds to $58.4 million of project funds, where cost-benefit analysis was conducted. MCC undertook the Rural Land Governance Project to address issues related to farmers in Burkina Faso lacking legal recognition of land rights on their farms, which inhibited economic growth and agricultural productivity in the nation. Eighty percent of Burkina Faso’s residents live in rural areas of the country and make a living through agriculture, livestock and forestry, but lack the legal recognition of their right to work the land that make investment or improvement difficult. The lack of legal recognition of the land rights of agricultural workers discourages investment, provides fewer options for securing loans and opens the possibility of land conflicts. Land tenure conflicts are common and intensifying as a result of a growing population and increased competition over limited land-based resources. The project contributed significantly to the adoption of the transformational 2009 Rural Land Law, the 2012 Agrarian and Land Reorganization Law, and 52 other decrees and regulations. These reforms established the framework for localized land governance, a more efficient approach to land conflict resolution, improved recognition of citizens’ rights to land and better land management. The project trained more than 8,700 local officials in 47 rural communes on participatory land-use management, land-service operations and conflict mediation in accordance with the new laws by the end of the compact. It incorporated 18,000 land parcels into the national registry, established more than 1,000 conflict mediation commissions in the villages of 47 rural communes and secured land rights for 4,793 households, businesses, and other entities. Although only 2,167 of the targeted 6,000 Rural Land Possession Certificates were approved by compact end, 13,000 applications were in process. The Government of Burkina Faso committed to funding the land administration offices and supporting delivery of certificates post-compact. Delays in completion of the Dî perimeter development and approval of title and lease documents resulted in missing the target for the number of rural hectares to be formalized by compact end. Within 120 days following compact closure, titles and leases had been approved for 1,835 hectares, or 82 percent of the target. The Government of Burkina Faso committed to funding and completing the task of formalizing rural hectares post-compact. MCC is conducting an impact evaluation of the Rural Land Governance Project, which will assess whether the project led to improved perceptions of land tenure security or a reduction in land conflicts. It will also measure whether improved tenure security or reduced conflict led farmers to change their investment decisions in ways that increase incomes. The evaluation is expected in 2017. MCC reduced the size of Dî irrigation scheme sub-activity and transferred funds from other activities to cover the increased costs after receiving bids that were significantly higher than initial estimates in October 2011. MCC reinstated the initial number of hectares, along with an additional 144 hectares, in January 2013, as savings were realized through contingency management and increased visibility into total costs. The $13.5 million for construction of these hectares, 500 in total, was partially funded by the release of almost $6 million in Agriculture Development Project contingencies, money from the Access to Rural Finance loan fund, and the rehabilitation of district markets sub-activity. In July 2012, MCC reallocated funding to the Roads Project to cover increased construction costs for two of three of the Primary Roads after bids exceeded the amount initially budgeted within the compact. The additional cost for the two roads was covered primarily by shifting $14.1 million from the Rural Roads Activity. MCC reinstated all lots of the Rural Roads Activity by May 2013 due to effective management of contingencies. There was no net change in the number of kilometers of either primary or rural roads completed. MCC terminated the Access to Rural Finance Activity in July 2013 after determining it had not made sufficient progress in achieving project targets. Prior to the termination of the activity, 96 loans valuing $2.8 million had been disbursed to end borrowers. After termination of the activity, approximately $2.2 million from the activity was reallocated to the Water Management and Irrigation Activity. Repayments from these loans support sustained assistance to water user associations managed by the government’s post-compact entity. The Rural Land Governance Project was broken into two phases to allow MCC to analyze the impact of broad and complicated reforms undertaken in 17 pilot municipalities prior to expanding to an additional 30. In August 2012, MCC notified the Government of Burkina Faso that the project successfully met the conditions for moving to the second phase. Based on lessons from the pilot communes about the time needed to implement activities, the scope of Phase 2 activities was reduced. These changes did not substantially reduce the economic rate of return or indicator targets. MCC is committed to coordinating resources and expertise with other donors and international institutions to to reduce global poverty and create opportunities for long-term growth. Building off the successes of the Rural Land Governance Project, MCC and USAID announced a collaboration with the Government of Burkina Faso and other international donors to improve land governance and increase transparency in land transactions in June 2013. The partnership, part of the G-7 Transparency Initiative, seeks to benefit a poor, rural population that depends on access to land for food and income-generating activities. MCC coordinated with the Danish International Development Agency (DANIDA) to draft basin-wide Integrated Water Resource Management (IWRM) master plans for the Mouhoun and Comoé Basins. In July 2014 DANIDA used its funds, following ratification of the two plans by the government, to support implementation of the MCC plans and to produce plans for other watersheds using similar methods. To encourage desired investment outcomes under the compact, MCC and the government of Burkina Faso agreed that the following conditions precedent (CP) needed to be met prior to disbursing project funds. Prior to the initial disbursement of program funding, the Government shall have ensured the placement of, or demonstrated active recruitment for, CE2 (Fourth Grade) teachers for the 132 schools in the BRIGHT 2 Schools Project. Prior to the initial disbursement of program funding, the Government shall have provided an annual budget allocation to the Ministry of Basic Education and Literacy (MEBA) for teacher salaries and other recurring costs for the 132 existing BRIGHT schools as well as the classrooms funded under the first phase of the BRIGHT 2 Schools Project). Evidence that all necessary modifications to the decrees governing the Road Fund's capacities and operation have been issued. Prior to the initial disbursement of program funding for construction or physical works or periodic maintenance relating to the Roads Project, the Government shall have delivered satisfactory evidence that a five-year road maintenance master plan acceptable to MCC (the “Road Maintenance Plan”) for the implementation of both routine and periodic road maintenance work, including annual maintenance targets and maintenance prioritization, has been adopted by the Government, in form and substance satisfactory to MCC. Prior to the initial disbursement of program funding for construction or physical works for the 47 municipal buildings of the Rural Land Governance Project, the Government shall have delivered satisfactory evidence that each relevant municipality has adopted operational and budgetary plans for municipal building use and maintenance, and in each case approved by MCA-Burkina Faso and the appropriate Government official and in form and substance satisfactory to MCC.